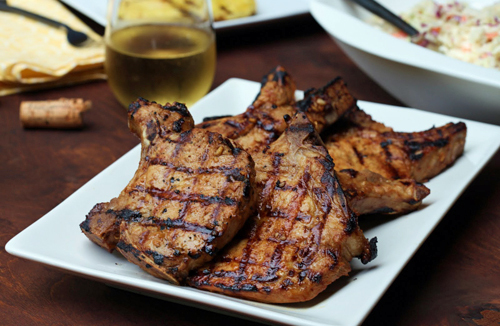 Center cut pork chops with the bone in for extra flavor. Thick, juicy and trimmed perfectly. The “other white meat” is a healthy, nutritious alternative and a family favorite. Perfect any night of the week, whether you grill, pan fry, broil or bake them. Just add your favorite sides and you’ll have a meal your whole family will enjoy. Oven: Preheat oven to 325F. Cook 15 minutes per side until desired doneness. Grilling: Grill over medium heat for 8-10 minutes per side until desired doneness.